Scholarships available! Complete the information below to apply. Possible wildlife visitors include a Northern Spotted Owl, Virginia Opossum, California Desert Tortoise, Rosy Boa, California King Snake, American Kestrel, and Red-tailed Hawk! 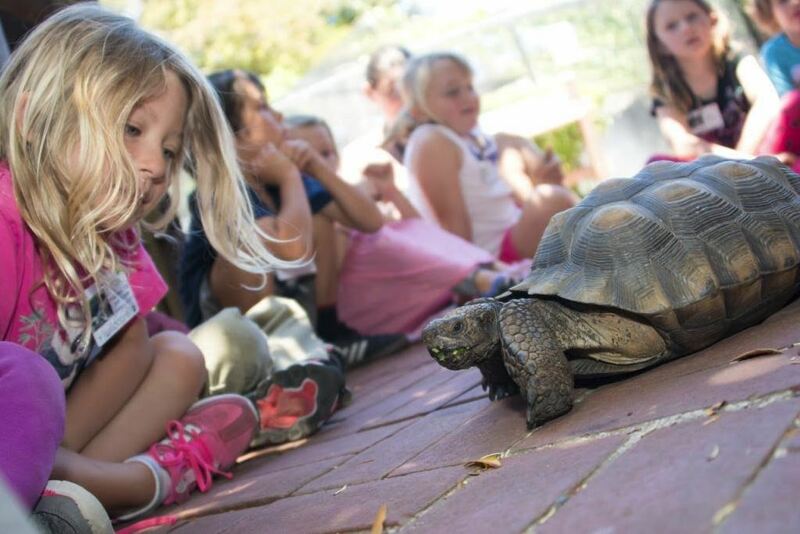 Questions about reserving a Wildlife Ambassador program? Call (415) 453-1000 x19. Question - Not Required - How many presentations would you like at your school in this visit? Question - Not Required - What is the school's address? Question - Not Required - Approximately how many students (total) will participate in this Wildlife Ambassador Program? Our Wildlife Ambassador presentations include a short power point presentation about WildCare and an introduction to three of our non-releasable, educational wild animals. We can tailor the theme of the presentation to your class/group’s needs, however, we are unable to guarantee particular animals (though you can make a request). Our current themes are Feathers, Fur, and Scales, Animal Adaptations, and Raptors. Suggested grade levels for the theme of Raptors is 2nd Grade and up. Animal Adaptations and Feathers, Fur and Scales is appropriate for all ages. Do you need to apply for a scholarship for your Wildlife Ambassador Program?